Makara Peak is a world-class conservation and mountain bike park in Wellington. With over 40km of track, it is a playground for mountain bikers, runners and walkers alike in a restored native forest bustling with bird life. The existing signage was outdated and wasn’t fit for purpose, often causing visitors to struggle finding their way within the park. 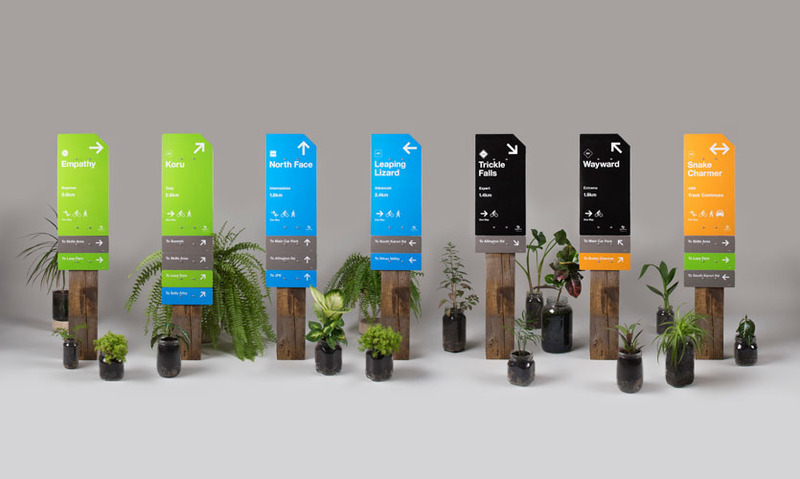 Through a project developed in conjunction with the park's volunteer group, recreational users and the local council, a team from Massey University’s School of Design was tasked with developing a new wayfinding program for the park. 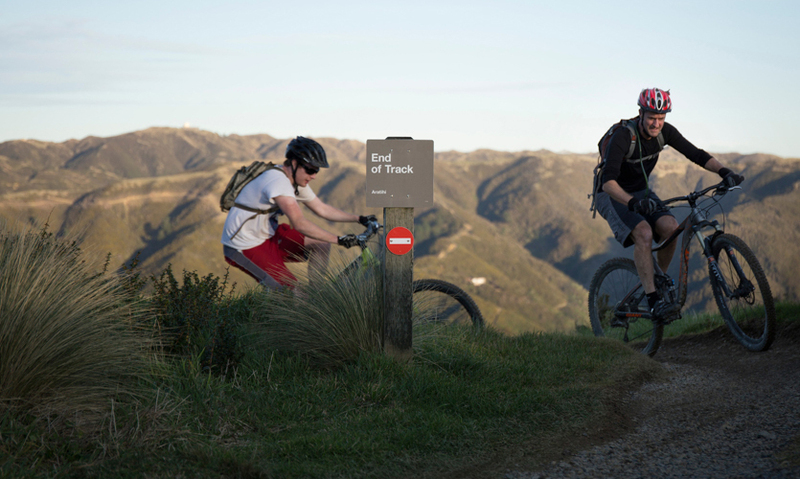 The new system builds on existing internationally recognized mountain bike grading systems and aims to make Makara Peak easier to navigate, increasing accessibility for new riders and tourists. 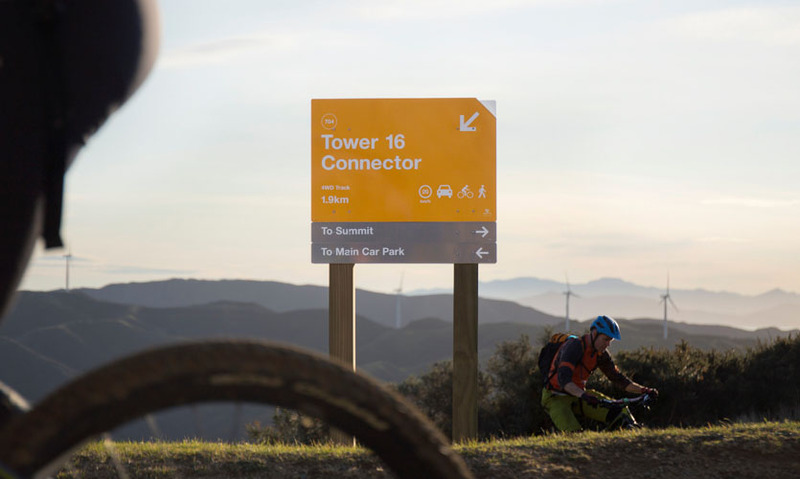 The signage needed to stand out from its surroundings without visually polluting the conservation park or diminishing the thrill and adventure of mountain biking, while also being legible from a distance and when travelling at speed. The student team used color coding to denote the difficulty level of each track. 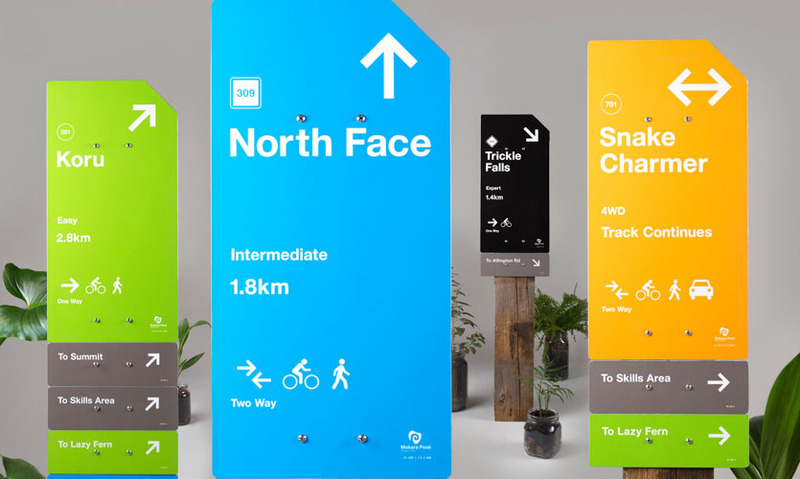 The system is modular, with each bollard containing a collection of elements that work together to inform the rider where they are, the direction they’re heading and what the next track is. The system is designed to be adaptable with pieces easily replaced over time as the park develops. Due to the park’s tight budget constraints, the modules attach to existing bollard structures, reducing the installation costs. The individual signs align to a consistent screw grid. A template was provided for volunteers to pre-drill holes. 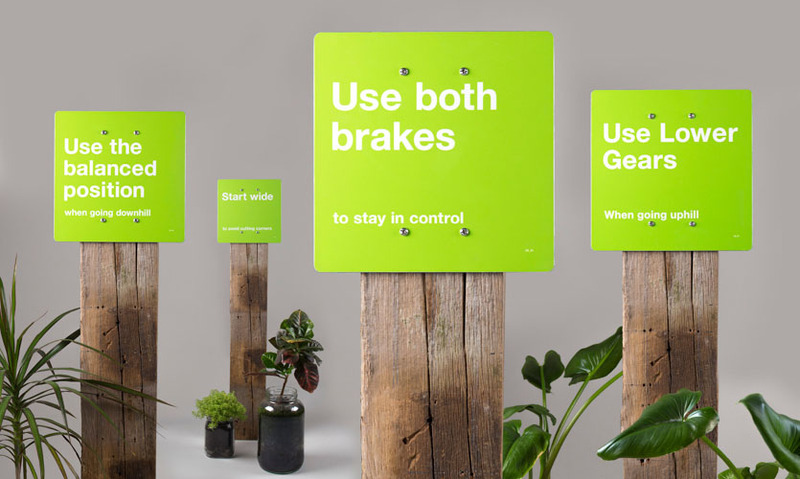 A scalable coding system was developed that sits at the bottom right of each sign. 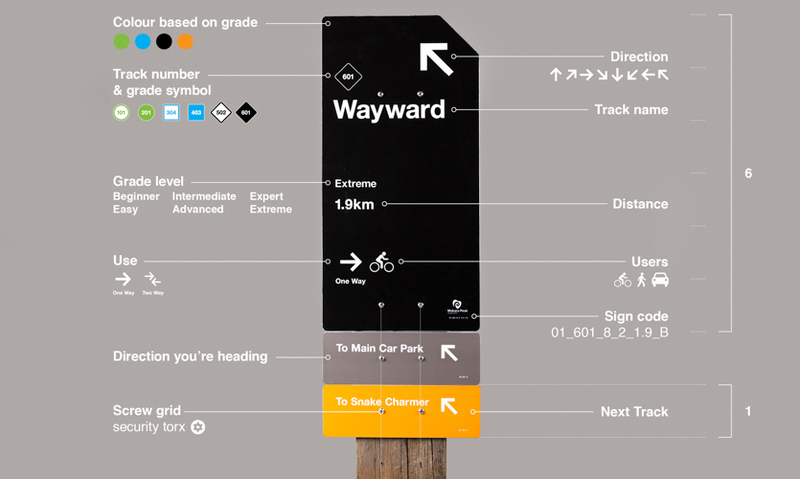 This code contains all the information including sign type, track name, distance, users, arrow direction, etc., for easy sign creation and replacement in the future. Along the lower-grade tracks (beginner and easy), helpful biking tips are placed contextually to help educate new riders. 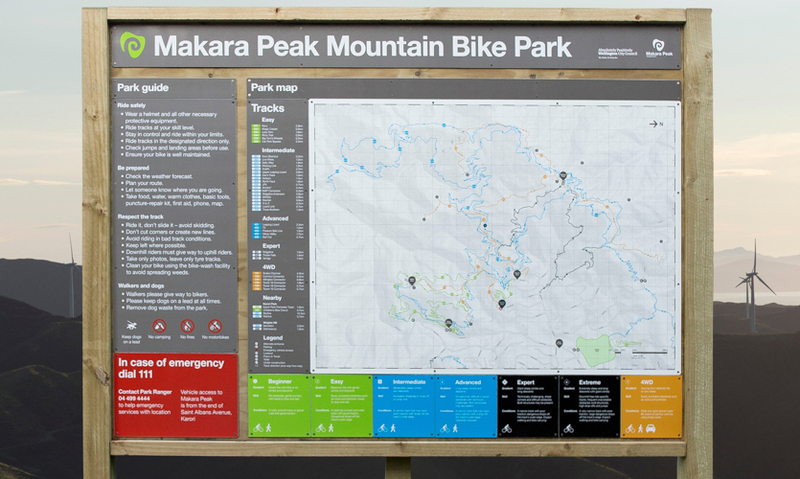 The main entrance has a large map board that suggests routes to take within the park for different skill levels, educates new riders with biking tips, highlights key conservation projects the park has undertaken, provides essential safety and etiquette information and asks for donations to continue the park’s development. Streamlined versions are positioned at alternative entrances and at key decision points throughout the park. 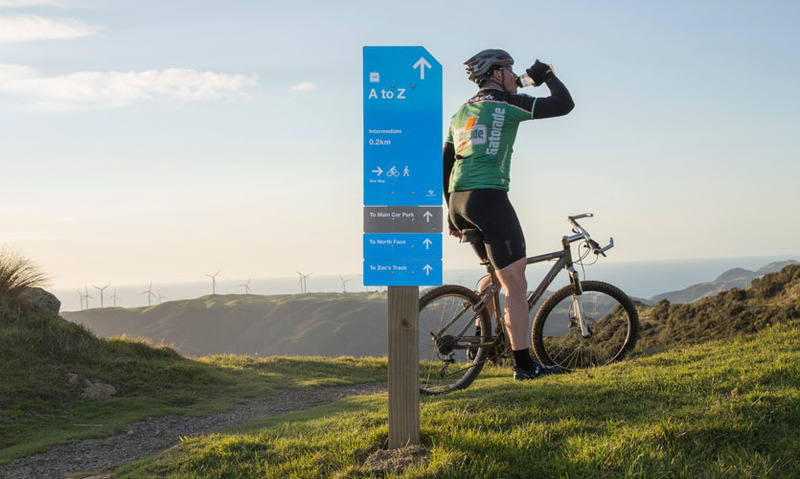 This project has great potential beyond Makara Peak, perhaps forming the basis of a nationally recognized wayfinding system resulting in a consistent visual language across all mountain biking tracks. This student to real-world project is an example of user-centric environmental design, adding real value to a community resource. "Give these design students jobs, immediately!" "It's hard for me to accept that this is a student project. 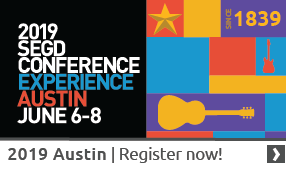 The visual identity and wayfinding system is beautiful, in harmony with the park and designed with visitor needs at its center."